Smooth, inviting curves with stylish flared legs give the Jive Armchair by Royal Botania its classic good looks. 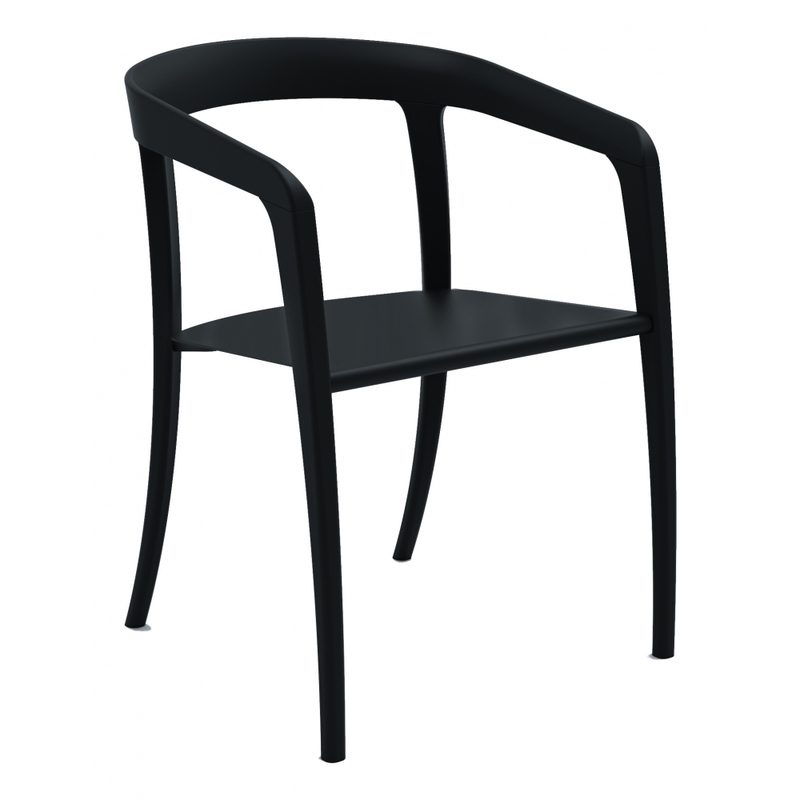 The timeless design and highest quality finish make the Jive Chair a perfect partner to your outdoor living area. Or why not combine with either casual bistro tables on a smaller rooftop garden or more formal dining tables on a larger covered terrace to create a luxurious dining scheme? Choose from a stunning selection of colour finishes from classic neutrals to fresh marine blue and green to complement your chosen design. Our expert team are on hand to guide you through our wide selection from the Royal Botania Collection. Alternatively, we can help you complete your outdoor look using our extensive directory of complementary furniture, lighting, planters and accessories. Royal Botania is renowned for its unique styling which blends precision and functionality. The refinement of their designs, highest attention to detail and sustainability has earned Royal Botania the reputation for being one of the most acclaimed outdoor furniture and lighting specialists in the world. Set of 2 - Please contact us for individual pricing. Priced for coated aluminium in black or white with cat A seat cushion. Set of 2 - please contact us for individual pricing. Teak back available at a surcharge.